My mom moved into Majestic Villa II. It looks like a home with 10 residents with two people to a room. They don't have a lot of activities, but it seems like they're well cared for. Somebody cooks for them and cleans and showers them twice a week. They take care of their clothes and medications. They have a doctor who comes in once a month. The place is very clean and well-organized, and has a backyard and garden. They have a living room to watch TV and a back patio. You get what you pay for. Majestic Villa II offers residents independent living options and daily support services. We offer private and semi private rooms. On-going assessments of the residents needs to include assistance with medication management, showers, dressing and grooming. In–house visits from physicians and nurse visits. Stimulating activities to keep residents engaged. Housekeeping, laundry services and homemade meals to accommodate all dietary needs. Highly trained staff that works hard to meet the needs of each resident. 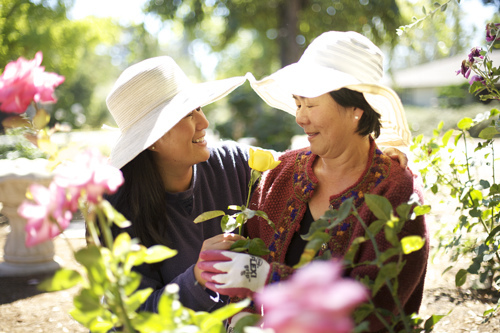 We provide 24-hour personalized care and services for seniors who need one-on-one assistance with activities of daily living. Our goal is to provide a home-like environment which will cater to the individual needs of our residents. Your loved one will feel at home. What should caregivers and potential residents know about Majestic Villa II?